Saw some interesting art for sale in downtown Cheongju the other day. It’s so rare to see anything creative that I couldn’t help but stop and admire some of the pieces. 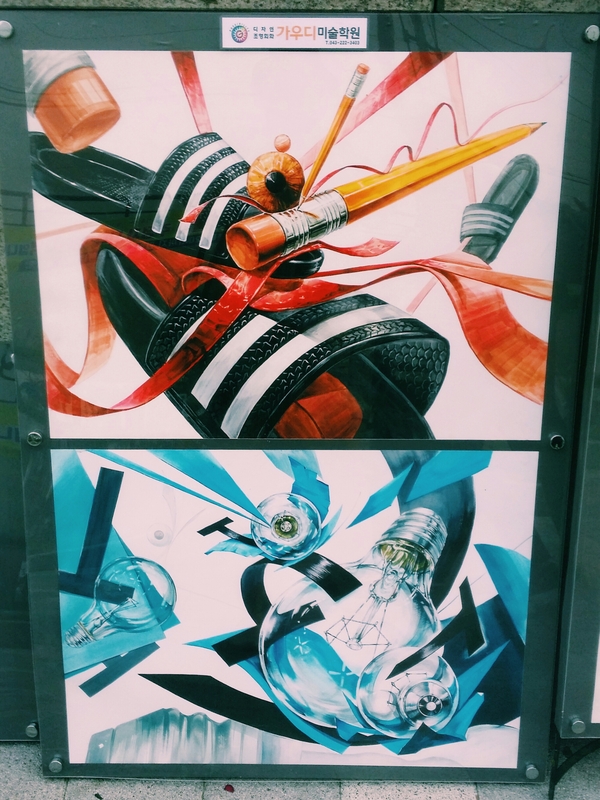 This one in particular caught my interest – especially the top one as it portrays the iconic black and white striped Korean indoor slippers. I think they were done by students in the art program at the nearby university though I didn’t inquire. Anyway just wanted to share something nice and aesthetic since I gripe so much about how creatively dry Korea is. Enjoy! Yah! WOW, these are really great, thanks for posting and sharing them! They seem better than anything the students in OUR art programme were producing! So glad you got to see something this creative. May you see more!